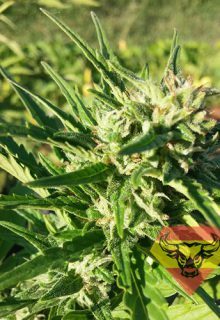 Feminized hemp seeds of the auto-flowering breed Auto Amnesia Haze were specially created for the growers with comprehensive abilities not wishing to spend time for growing yield of the low quality. Majestic plants demonstrate typical features of Sativa breed: wide internodes, considerable dimensions of bushes, strong immunity, light-olive color of leaves and graceful structure. Upon maturation, the formation of large influences is observed on the bushes of Auto Amnesia Haze, which exhale a fantastic aroma. Impeccable haze genetics made Auto Amnesia Haze to produce the strongest psychoactive effect. It’s easy to figure out, that it is a hybrid parent of the original strain Amnezia Haze crossed with representatives of Ruderalis. Feminized hemp seeds of the auto-flowering breed Auto Amnesia Haze adopted the best features of genetic range from their ancestors, providing them with a wide popularity at the market of cannabis immediately after their creation. Inflorescences of Auto Amnesia Haze have extraordinary strong psychedelic effect that literally will help you to get acquainted with parallel reality. The breed opens new edges of usual things and expands human creative abilities, making it possible to create real masterpieces. Soft fruit aroma being evolved by the inflorescences of Auto Amnesia Haze, by no means delivers up the strain potential as well as its presence. Despite the predominance of Sativa genes, Auto Amnesia haze possesses an expressed anesthetic effect, making it possible to relive some kinds of pain syndrome of middle-intensity crisis. The plant perfectly relieves emotional overstress, reduces depression and allows to cease the symptoms of bipolar disorders. Also, it has shown its best in healing of autism and epilepsy. Elegant and fertile sprouts produced by the feminized hemp seeds of the auto-flowering breed Auto Amnesia Haze will provide a simple growing, which is not going to cause any problems to the grower. When cultivating seeds indoor, it is necessary to control the sprouts to have enough quantity of systematic additional fertilizing as well as required amount of light and moisture. Plants of Auto Amnesia Haze will receive a maximum comfort when they are cultivated on outdoors in warm and damp climate. 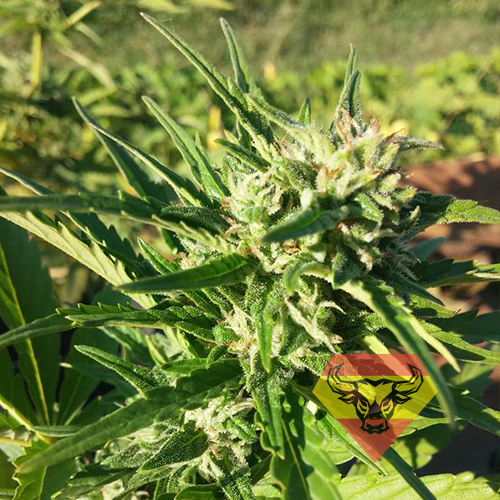 The residents of northern areas may grow up this Sativa miracle only indoor conditions as short and rainy summer will not be enough for the inflorescences to be ripen outside. Spanna Seeds are exclusively sold only as a souvenir for adult souvenir and collectible purposes only. Purchasers should be aware that germination of these seeds is illegal in most countries. Spanna Seeds accept no responsibility for those who act in conflict with the law. We advise you to check your local laws before purchasing. All product information is provided ‘as is’, for informational and educational purposes only. This web content © Spanna Seeds.